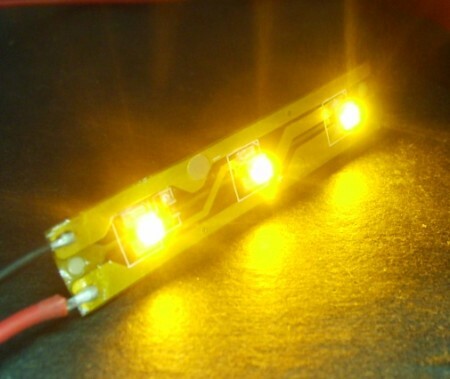 This is a cool, new 3-LED amber (yellow) strip. These LED strips can be powered directly off of 12v DC and have up to 24, 3-LED strips in one long "chain". 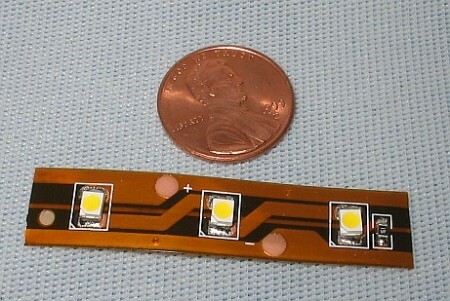 Another cool feature is each LED strip has an adhesive backing for easy mounting. Just peel off the paper backing to reveal the 3M adhesive strip.